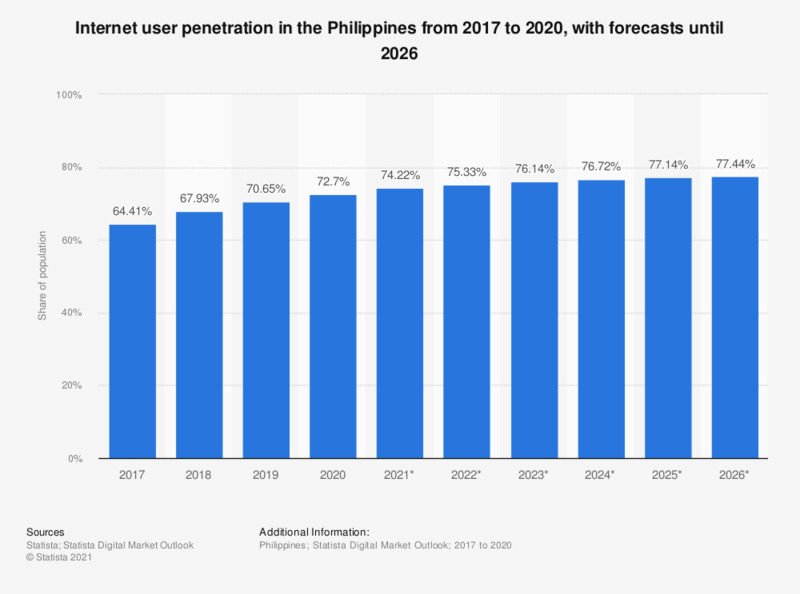 This statistic gives information on the internet penetration rate in the Philippines from 2017 to 2023. In 2017, 61 percent of the population in the Philippines were using the internet. In 2023, this figure is projected to grow to 82 percent.